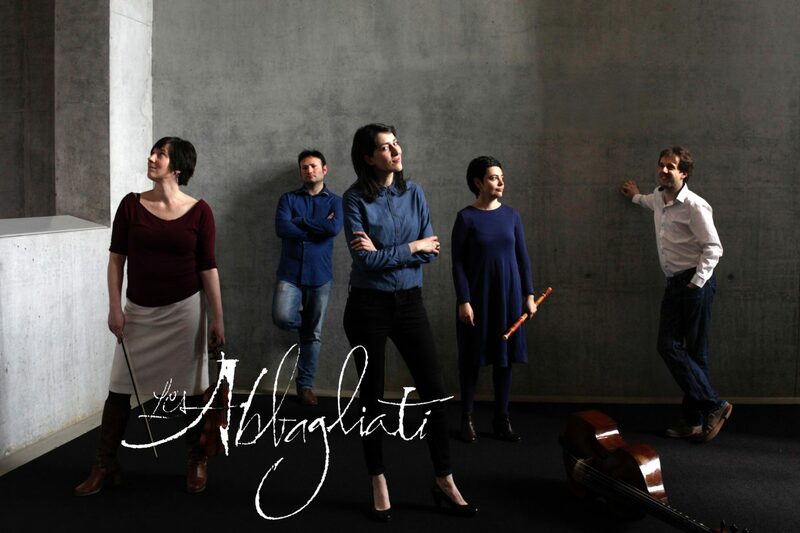 The members of Les Abbagliati can't keep themselves from finding new elements and angles – they are convinced this is the core of early music. To play the past alive, if you will. Seventeenth and eightteenth century music is their main territory of work. A program will always combine well-known masterworks as well as obscure little pearls of perhaps forgotten composers. True believers of visual assets, they often join forces with dancers or singers who have learnt the faded art of gesture for a refreshing approach of history. The musicians of Les Abbagliati met first whilst studying at the Royal Conservatory of Brussels. They all have impressive resumes after having been invited to groups such as Il Gardellino, Ricercar Consort, Bach Concentus, Amsterdam Baroque Orchestra, Anima Eterna, l'Ensemble Pygmalion, Concerto Köln and La Petite Bande, to name a few. The ensemble has built itself a solid reputation with many concerts in Belgium and abroad. In 2011 they were selected as young ensemble in residence by the 'Festival de Musique Baroque d'Ambronay', where the program 'La Victoire Amoureuse' was a big succes. Two years prior, the ensemble was also the finalist in the 'International Young Artist Presentation' in Antwerp. In 2012 they performed at the 'Staten Generaal van de Klassieke Muziek' and in 2013 they showcased at the 'Réseau Européen de Musique Ancienne'(Rema). They were invited for performance in the SCOOP series at the Bruges Concertgebouw in 2014 and one year later they played at the famous 'Internationale Barocktage Stift Melk'.